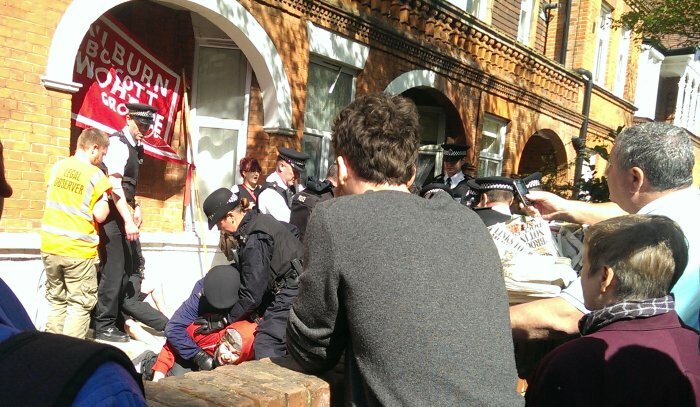 Police broke up an eviction protest on Thursday afternoon in Lymington Road at which fourteen arrests were made. 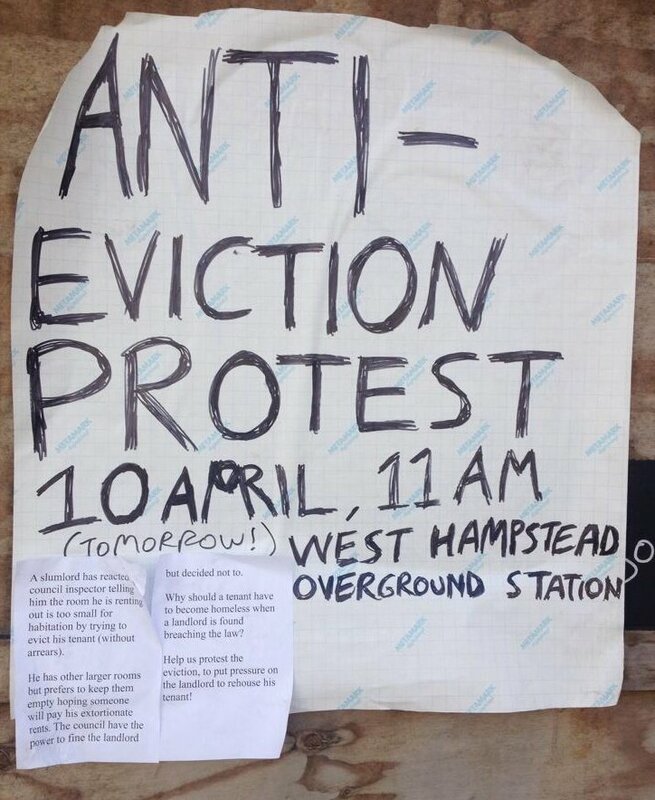 According to protestors, the evicted tenant, whose name is given only as Mark, had been ordered by the landlord to vacate the room he was renting at 1 Lymington Road after it had been ruled too small to live in by a council inspector. Supporters of the tenant claim that he has mental health issues, did not want to leave the property and had nowhere else to go. He was apparently taken to Camden Housing Services. 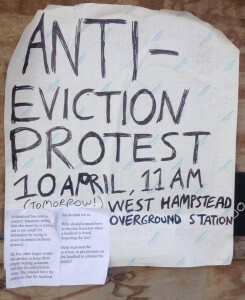 Members of the Kilburn Unemployed Workers Group (KUWG) linked arms around the property and erected a banner above the front door. 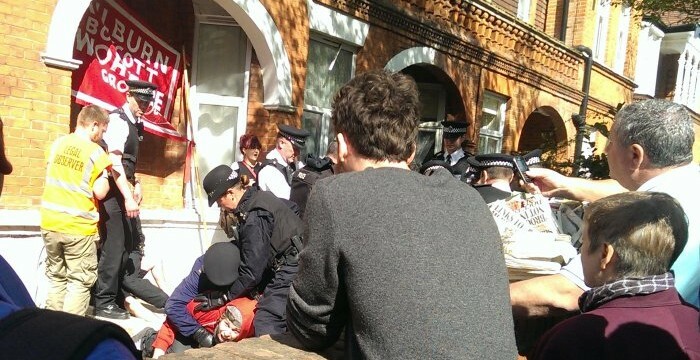 There was a heavy police presence, with around 40 officers on the scene plus an ambulance, which according to the KUWG’s website had been called after the “heavy-handed” arrest of one of the campaigners. 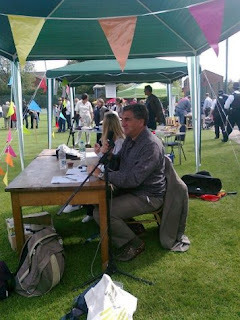 However, a police spokesperson described their actions as a “proportionate response”. Get a Taste of Kilburn Could The Railway become a community pub?